Established in 2010, eMarketing Dept proudly meets and exceeds the online needs of our clients. From real estate to non-profits, construction to medical, eMarketing Dept is the first choice for businesses seeking clean, attractive design, attention to detail and exceptional service. We identify your goals, execute a plan to address your particular needs, and deliver solutions on time and in budget to keep you breathing easy. That’s our modus operandi. The company extends its competencies by employing top notch professionals located right here in the USA. Our unique culture allows everyone to work from their home/office, be it Columbia, Greenville, Huntsville, New York, Oklahoma City, or Birmingham. The benefit is the ability to work with the absolute best of the best, no matter where they live. As a virtual company, we can spend more time focusing on our jobs rather than our commutes, which increases turnaround time. We have a measurable reduction in capital and operational expenditures. Those saving are passed on to our clients. eMarketing Dept, LLC has a dedicated team of award-winning professionals with over 140 years of combined experience. 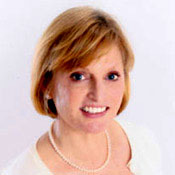 Denise is passionate about website design, search engine marketing (SEM), search engine optimization (SEO), and online reputation management. She dreams in HTML5. Her attention-to-detail and ability to keep abreast of constantly changing technologies makes Denise a sought-after name in the field. She is involved with all website designs and utilizes her knowledge regarding the value of presenting information effectively and translates ideas into visual reality. She enjoys the challenge of creating a highly ranked website, intrinsic to all SEO projects. Denise has a BFA in graphic design and illustration from Ringling School of Art. She pursued further education at the Columbia Southern University earning a MBA in e-business and technology with a 3.9/4.0 GPA. She shares her knowledge with the students at South University in Columbia, SC, where she teaches a few night classes each quarter in website design and multimedia web development. 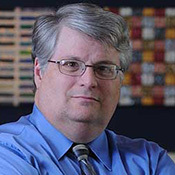 Charles Lyle brings over 32 years of design expertise. He is a graduate of Ringing School of Art in Sarasota, FL, and an award-winning Creative Director from Greenville, SC. 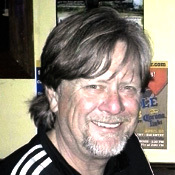 His work has earned hundreds of honors and awards, including local and regional Addy Awards (American Advertising Awards), the Mead Top 60 Competition for Excellence in Graphic Design, several PICAs (Printing Industry of the Carolinas Awards), and the Bank Marketing Association’s award for Best of Print and Best of Website. His designs turn chaos into pure eye candy. Phillip brings 30 years of expertise in public relations and communications to the eMarketing Dept. After receiving a BA in journalism from Auburn University, Phillip spent 3 years as News Bureau Manager at Huntsville's U.S. Space & Rocket Center, and then he spent the next 20 years as Communications Director for the University of Alabama in Huntsville. Phillip works from his Decatur, AL location, but his expertise in public relations often requires him to travel to locals as far away as Panama and Great Britain. 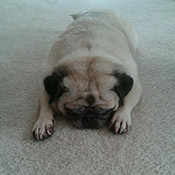 Tater has almost 16 years’ experience in interior grounds maintenance. He successfully provides a safe work environment by ensuring that the office floors are free of any palatable debris. ...our business has grown 32% due primarily to the excellent exposure and responses we receive from visitors to our website. ...professional, prompt, responsive to our needs and requests, and a true asset to our overall business operations.